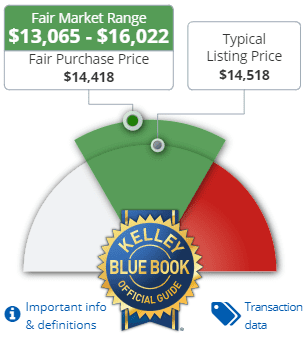 There’s no question that used cars are cheaper than new cars. That applies for electric cars as well. Today we take an in depth look at the best used electric cars in 2018. This list will consist of just full electric cars but we will indeed discuss used plug-in hybrids at a later time, I promise. Before we dive right in, let’s answer a few questions and address some misconceptions you might have. Why buy a used electric car? Simple. Cost. 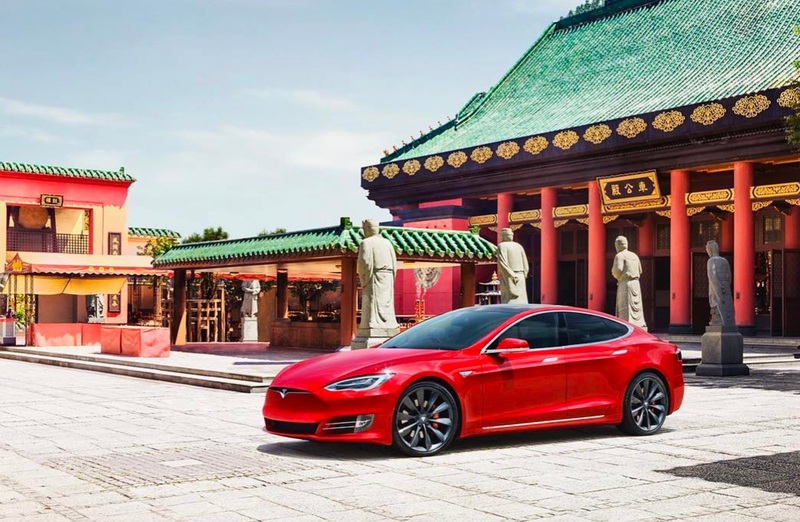 Electric cars depreciate just like any other car, fast. With some actually depreciating more than their ICE counterpart. You could go right ahead and buy a brand new car or you could save tens of thousands on a used one. There are a few disadvantages when buying used vs new. For one, you don’t get a rebate. Do electric car batteries die? It’s certainly true that electric car batteries degrade, but it’s not as fast as many believe. 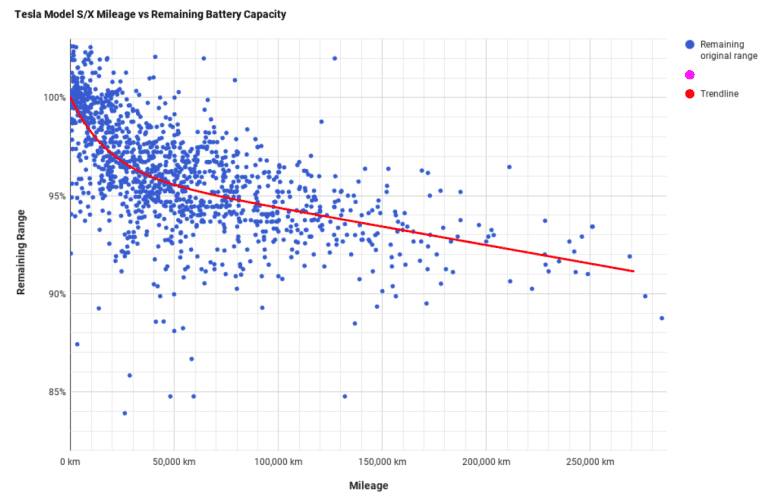 Research shows that a battery on a 100,000 mile Tesla should still have around 95% of its original range. Some manufacturers even offer warranty against the batteries lifespan. Checking the batteries health is a must when purchasing a used electric car. Any proper dealership should be able to tell you the batteries current range. Used electric cars aren’t for everyone. Older models don’t have nearly the range of upcoming electric cars. But you might not need the range you think you do. The average American drives under 40 miles a day. With an electric car, you wake up every morning with close to a full charge. If the range fits in your driving habits, you’ll be perfectly fine. 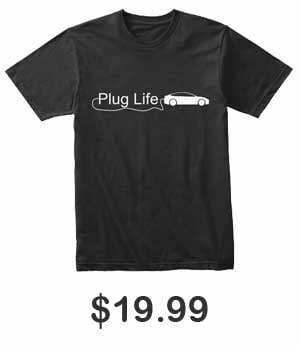 A lot of people tend to opt for a used electric car as a secondary car. How do you buy a used electric car? The same way you buy any used car. Search for listings online and go to the dealer. We would recommend buying a certified pre-owned electric car and having the battery checked. 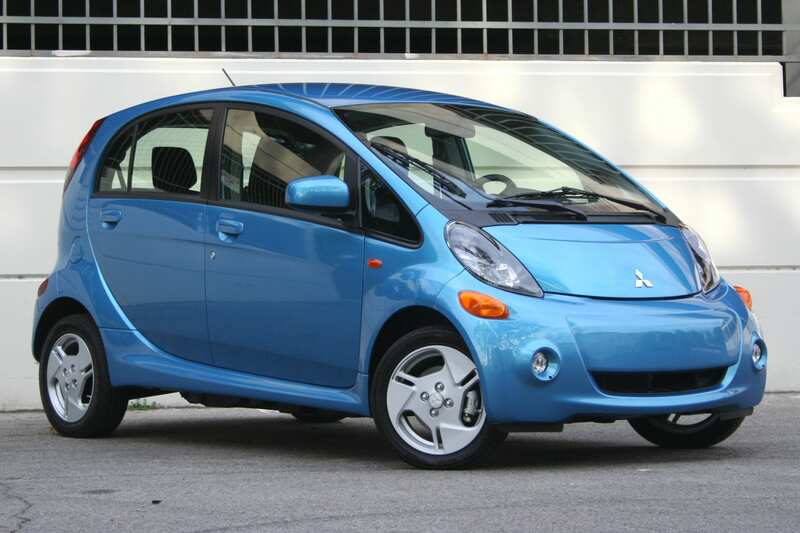 With that being said, here is our list of the best used electric cars. The Mitsubishi i-MiEV might not be the best used electric car money can buy, but it certainly is the cutest (or ugliest, depending on how you look at it). Sadly, this little bundle of joy was discontinued in 2017. With only 62 miles of range (EPA) coming from its tiny 16 kWh battery at its prime, the i-MiEV is definitely just a city car. But starting at just under $5,000, this electric car makes the list for its affordability and above all, it’s just so darn cute (or you know, ugly). 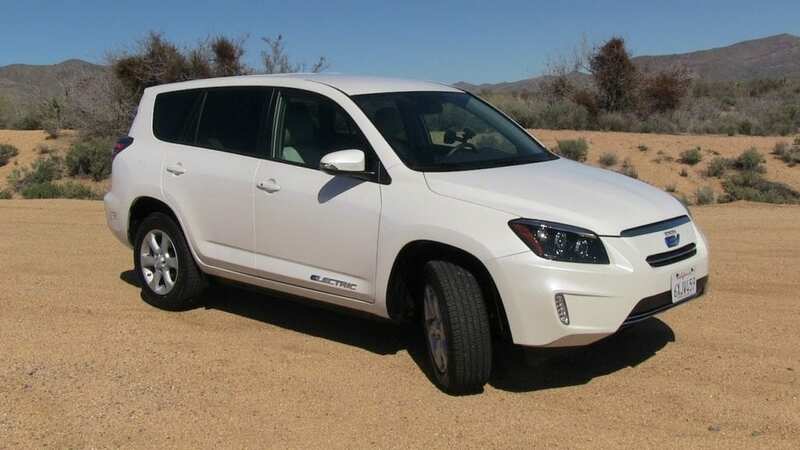 Some might not know this but the Toyota RAV4 EV went into production twice. from 1997-2003 and then again from 2012-2014. For those looking for an affordable electric SUV, this is your car. But it wont be easy finding one because the production run for both generations were very limited. Less than 3,000 of each version were ever made. There are so few out there that KBB doesn’t even have enough data on this one.The second generation version of this car made in 12-14 was actually made with the help of Tesla, so there is some fun trivia for you. The second generation was able to squeeze out 103 miles (EPA) of range from its 41.8 kWh battery, giving it an adequate range. If you can grab one, it’s definitely a contender for the best used electric car. On top of that, its also probably rarer than most exotic cars found today, so you can have those bragging rights too. Many will say the Chevy Spark was just a compliance car. I mean, it was. But it was also much more than that. It was GM’s 3rd attempt at an all electric car. Following the EV1 and S-10 EV, of course. Most importantly, it marked the beginning of GM’s venture into this all electric future. Without the Chevy Spark EV, we might not have the Chevy Bolt today. Sadly, the Spark was discontinued in 2016. But hey, maybe one day it will just as famous as the EV-1 that predated it. But even if it doesn’t, you can still ride in mediocre style, with mediocre range of 82 miles (EPA) coming from its 19 kWh battery pack. Once again, something that probably won’t feel too comfortable leaving the city. Also known as the Mercedes B-Class Electric Drive, the B250e is one of my favorite “classic” electric cars. 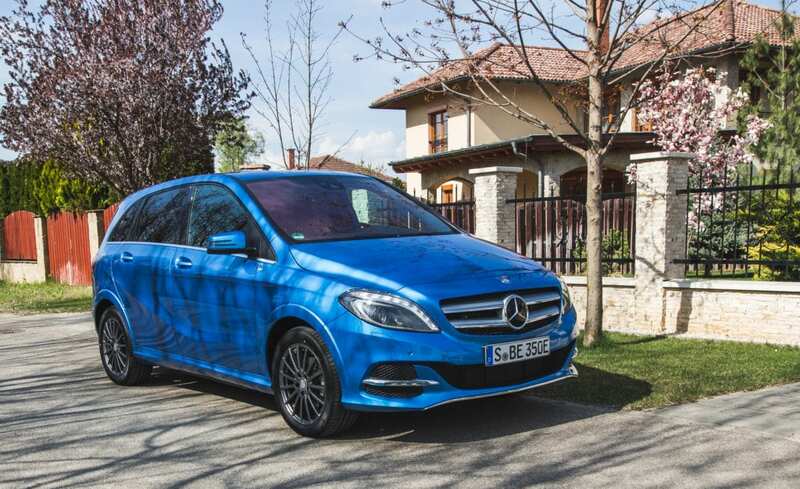 The lower range is average for its time but this electric car has that profound Mercedes luxury aspect. One of the few hatchbacks on this list, this electric car is the perfect city dweller with its just ok 84 miles (EPA) of range. Once again, another car we shed a tear over being discontinued. It was a compliance car, but damnit, it was our compliance car. 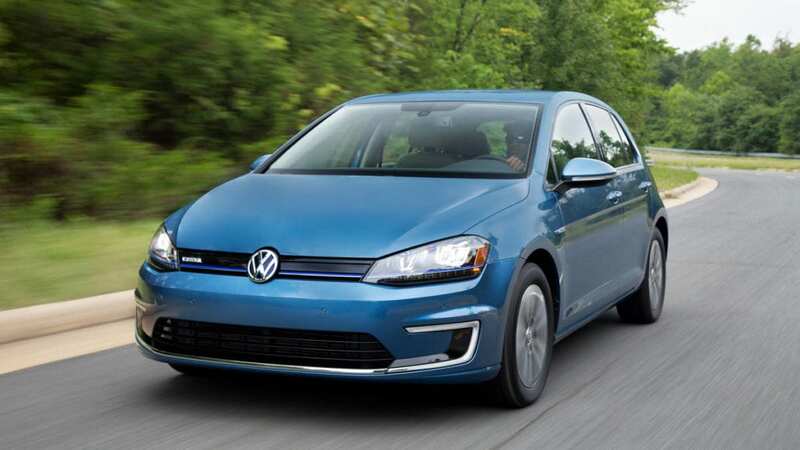 The Volkswagen e-Golf is actually the first car on this list that you can still buy new today. It’s yet to be discontinued. That might be because it’s a great car or Volkswagen doesn’t want to earn some bad press over discontinuing an electric car after their emissions incident. The e-Golf was actually the bestselling electric car in Norway back in 2015. Does that mean it’s currently the best used electric car on the market? It might, Norway seems to be the expert on electric vehicles thus far. If you’re looking at an e-Golf, keep in mind that the range and charging times were upgraded in 2017. The range was upgraded from an EPA rated range of 83 miles to a range that is stated as 89-125 miles from its 35.9 kWh battery. Man EPA, that’s a heck of an uncertainty. 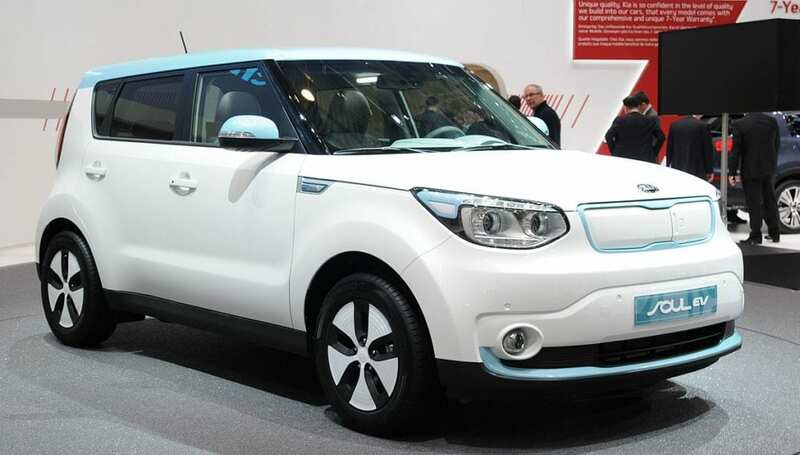 The Kia Soul EV has one of my favorite body styles. It’s not too over the top but doesn’t just blend in with the other cars on the road either. This electric car was initially just sold in California to meet compliance laws but it quickly spread to other states (CA, GA, HI, OR, MD, NJ, NY, TX, WA). They’re still sold new in those states with no announcement on a nationwide release. There weren’t that many sold but just enough that finding one isn’t too difficult. I could go on as to why this car qualifies as one of the best used electric cars but this Kia Soul EV’s inappropriate commercial speaks for itself. 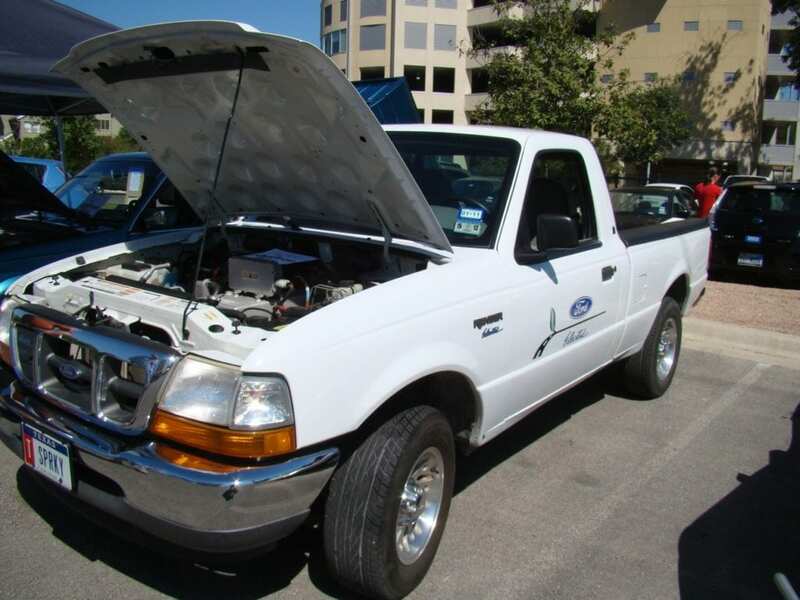 Why wait for a Tesla pickup truck when the Ford Ranger EV has been around since 1998? This electric truck was actually Fords attempt to compete with the electric S-10 and they succeeded. Ford produced many more of these electric trucks than Chevy did with theirs.. Yet here we are 16 years later and no electric truck on the market. It’s EPA rated range pf 93-111 miles puts to shame some of the cars that were released in past 8 years, and this thing is 20 years old. Be the envy of your pickup truck driving buddies, and environmentalists alike. The first car on this list that I can say is not a compliance car (except for the Mitsubishi). 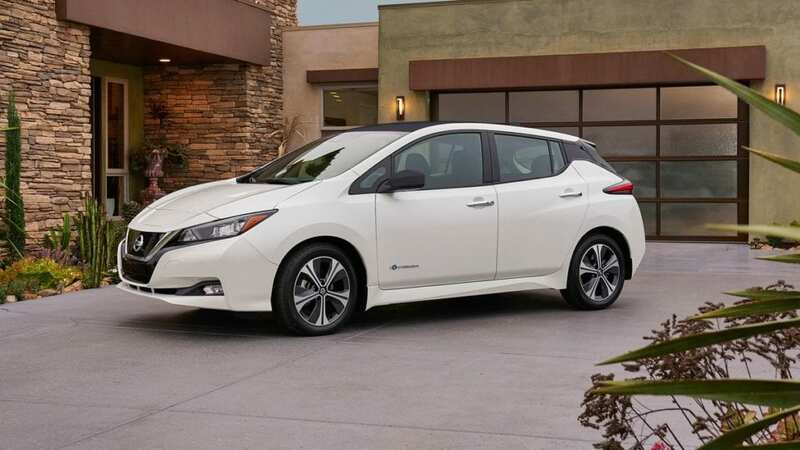 The Leaf is one of the most recognizable and widely sold electric cars at this point in time. While Tesla was selling to the more higher-priced customers, the Leaf was being sold to those who wanted to be a little more frugal. The first generation had many continual upgrades through its lifespan and as such depedning on which year and battery option you get, you are looking at a range of anywhere from 73 to 107 EPA rated miles. The second generation bumped up the range to a pretty good 151 miles. The looks of both the generations are left up to debate, but they are tested models and have been thousands upon thousands of them have been sold, so you can’t really go wrong here. 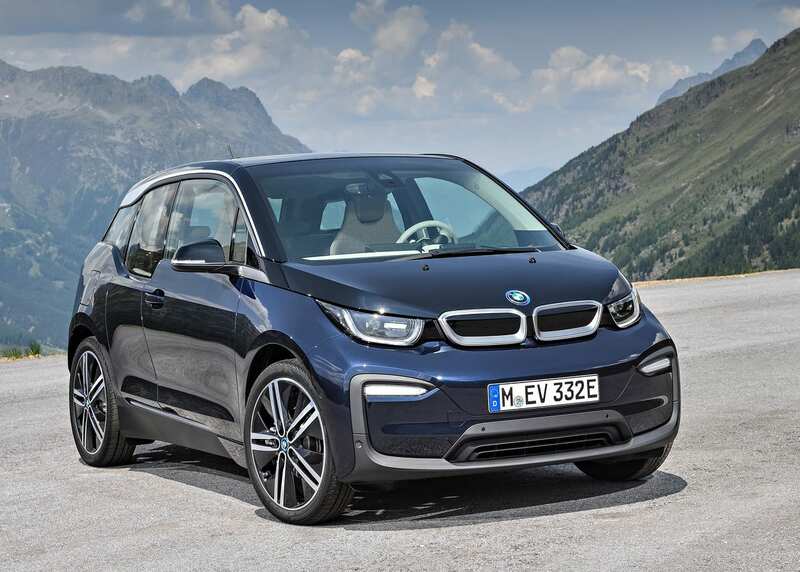 The BMW i3 is another quirky looking car that appears on this list, and BMW’s first foray into electric cars. The design of the i3 is such a departure from BMW’s usual designs its amazing. The only BMW related looking thing on the exterior is the badging and the kidney grills. The interior has done away from BMW’s usual sterile looking interiors and looks just so much more open. If you are a fan of the look (or can look past it) this is a solid car, with the earlier models having an EPA rated range of 81 miles its 18.8 kWh of usable battery. 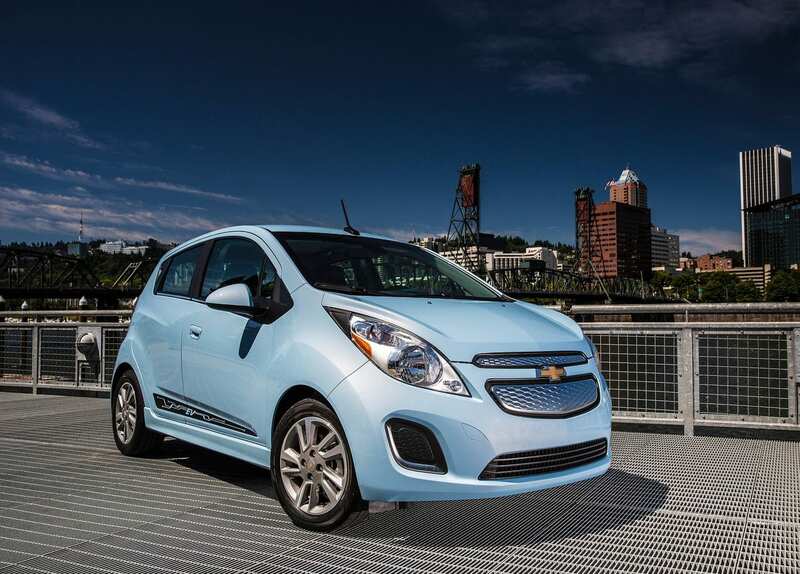 The newer models with the 27.2 kWh of usable battery have a rated range of 114 miles. Those numbers relegate the i3 to being basically a city car. You can also get one with a range-extending engine to give you about 60-70 miles of additional range. But you wouldn’t do that, would you? Readers located outside of Europe, you can stop right here I am afraid. There is no way you can get this cute supermini electric car. 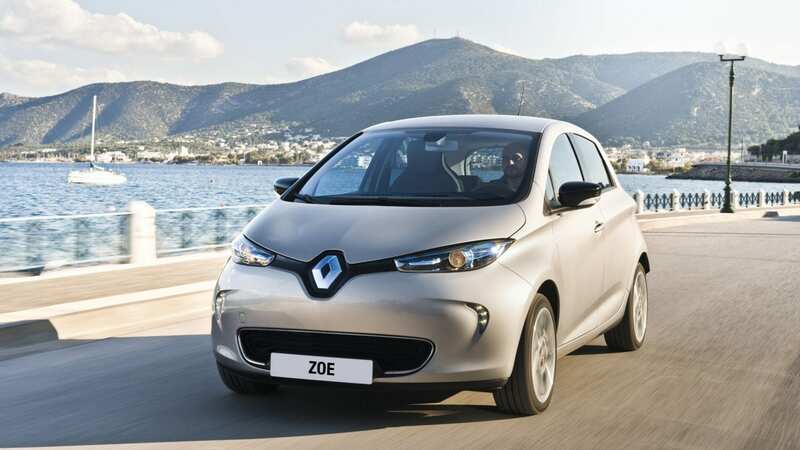 To those that have been or live in Europe, this car shouldn’t really be a surprise to you as it one of the highest selling electric cars in the continent, thanks in part to its affordable price and good range. The first models equipped with a 22 kWh battery had an NEDC range of 130-150 miles. The newer models with the 41 kWh battery, are able to have an NEDC rated range of 250 miles. The numbers are really good and the range of the later models make it more useful than a standard city car, I am disappointed that we won’t get this cute little French hatchback. If you want a Tesla, I wont stop you. 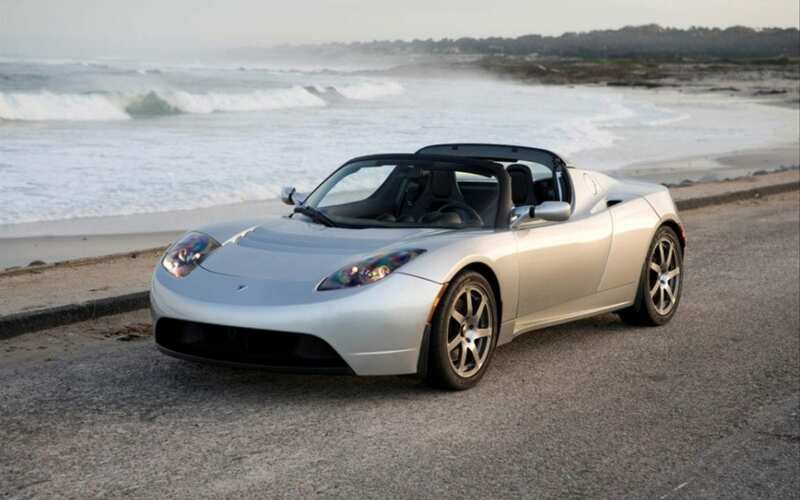 The Roadster really is the only affordable electric sportscar option out there. And I personally love it. Some could argue that it was the start of this electric car revolution. But I wouldn’t call it a daily driver and for that, it didn’t make our list of best used electric cars. As for the Model S, it’s an incredible car. If you can’t live without Autopilot, you have no other options. But prices are still too high and a new Model 3 is the better buy. 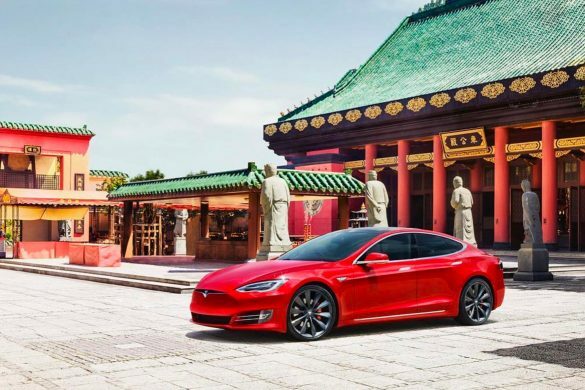 You sacrifice too much when buying a used Tesla Model S over a new Tesla Model 3. Autopilot 1.0 and other hardware will not be able to keep up with future improvements. there are many used electric cars out there. One for every need and many more than we listed. If you can sacrifice on range, you can drive electric for under $10,000. Just make sure to do your research because electric cars tend to make frequent and major changes. If you have any inquiries feel free to comment bellow or reach us on twitter @EVBite.